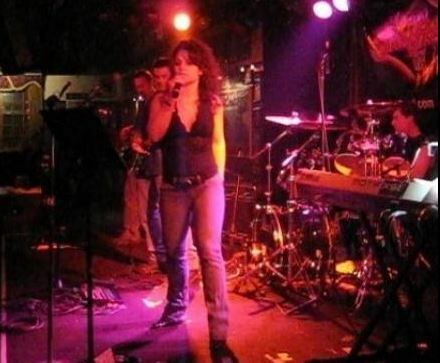 Swiftkick is a popular Top-40 cover band based in the VA/DC/MD area. The professional 4-member group performs songs from today, as well as from the 90's, 80's, 70, & 60's. 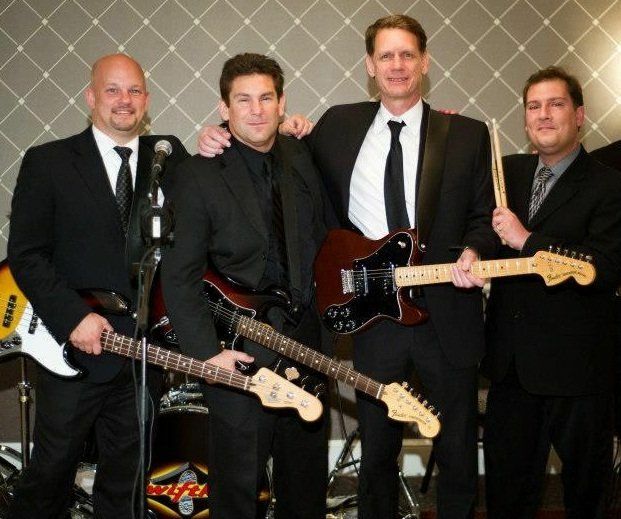 In addition to beingSwiftkick is a popular Top-40 cover band based in the VA/DC/MD area. The professional 4-member group performs songs from today, as well as from the 90's, 80's, 70, & 60's. In addition to being featured in the Washington Post and other DC metro area newspapers, Swiftkick has played for and received great references from the U.S. Coast Guard, Marriott Corporation, Harley Davidson, RE/MAX, Radio Shack, Classic Rock 94.7, and many other reputable organizations. The band plays regularly at corporate functions, weddings, organizational events, colleges & summer outdoor events & has performed at local venues such as Barnes of Wolftrap, Sweet Carolines, RiRa, Ned Devines, Tortoise & Hare, and many, many others. featured in the Washington Post and other DC metro area newspapers, Swiftkick has played for and received great references from the U.S. Coast Guard, Marriott Corporation, Harley Davidson, RE/MAX, Radio Shack, Classic Rock 94.7, and many other reputable organizations. 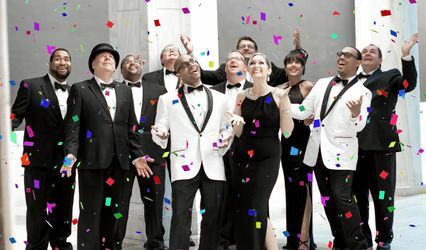 The band plays regularly at corporate functions, weddings, organizational events, colleges & summer outdoor events & has performed at local venues such as Barnes of Wolftrap, Sweet Carolines, RiRa, Ned Devines, Tortoise & Hare, and many, many others. "Dear Swiftkick band, , we are reaching our one year wedding anniversary on August 7th 2011. As we reflect back on a wonderful first year together, we are reminded of all of the people that helped to make our wedding day special. Thank you so much for performing at our wedding on August 7th 2010 at Meadowlark Botanical Gardens. You really made our day memorable. Everyone raved about how much they loved the band and how much fun they had. Learning to play the song for our first dance meant so much to us. Kat sounded amazing singing At Last. The music was awesome and we had a great time. We will never forget our special day. Thanks again. "OH MY GOSH. Words can't describe how AMAZING you guys are. You really did a fantastic job yesterday. When you guys first came out and started the first song I almost wanted to cry you sounded so good. Everyone was saying how they have never been to a wedding with such a great band. I have never had such a great time dancing. Thank you thank you. You all sounded so great and looked great. " "Swiftkick was awesome! We had them play at our wedding reception and they were fabulous. The band has a lot of energy! They kept the dance floor packed for the entire evening. We received numerous comments from family and friends praising the band, the songs they played, and their professionalism. They were completely on top of all the details, contract information, ect, which made them very easy to work with during wedding planning. They are very, very nice people and will go out of their way to make your event a great one!" 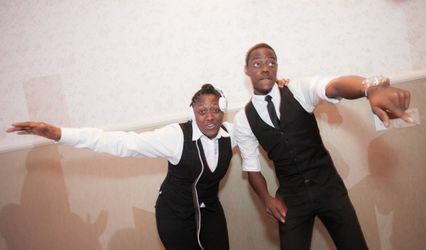 "We had a fantastic time with Swiftkick at our wedding (07 AUG 2009). They were awesome. All of the guests raved about how much fun they were. At the end of the night, everyone wanted them to keep playing. If it hadn't been for the need to extend the facility and bus contracts as well, we would have paid them to play another hour! We will definitely recommend Swiftkick to others!" 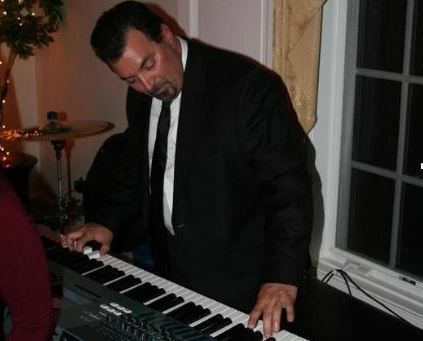 "Swiftkick band did a wonderful job at our wedding. They were willing to work with us and with the hotel restrictions (and logistics challenges) to make the night a wonderful event. Everyone was energized and dancing until the very end. At the end they even let my cousin play on the drums which meant a lot since he left for boot camp the next week. 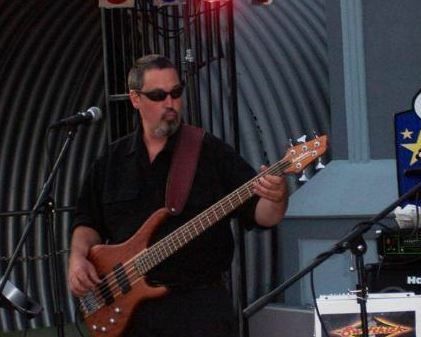 Both the music and the energy were awesome I am so glad we booked them." 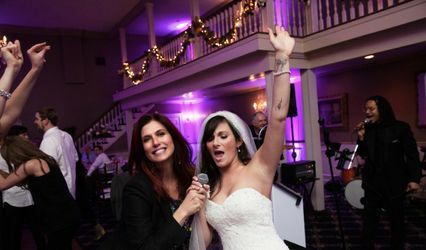 "Swiftkick performed at my wedding last Saturday and they were fantastic! They learned the song for our first dance and everyone loved dancing to their music all night, from Grandma to the college students. I would highly recommend them to friends and if they should want a reference at any point, my husband and I would be happy to provide an excellent one." friends or family. Thank you again for making our day so fun and exciting. " "First I want to say it was great working with your group and Thom Blasberg with Swiftkick. Everyone was so professional it made our day go smoothly. The band was excellent.....our guests danced all night, ages 18 - 86 years young. Everyone raved how great the music was. Thom was great to work with. I highly recommend Swiftkick Band if you're planning a wedding and you like to dance"
"Swiftkick Band was the best I could have hoped for in terms of entertainment value and professionalism. They all dressed extremely well for the event, arrived plenty early to get their gear tuned properly, whipped out an early song for the first dance, and kept the party going all night. I've been to many weddings and usually the band acts as background noise, but Swiftkick Band was the main attraction. Nearly everyone with legs was on the dance floor until closing time. Overall, I can't imagine another band doing as well." "We danced all night! As the mother of the bride I was very tired after all the festivities, but each song they played was better than the last and I couldn't stop dancing. Everyone complimented us on our choice of bands." "Thank you very much for making our wedding so memorable. The band was a huge success - lots of people asked me about you guys!" "Swiftkick was an excellent addition / feature to our wedding celebration. Moreover, we would highly recommend them for their professionalism, flexibility, and great work!!" 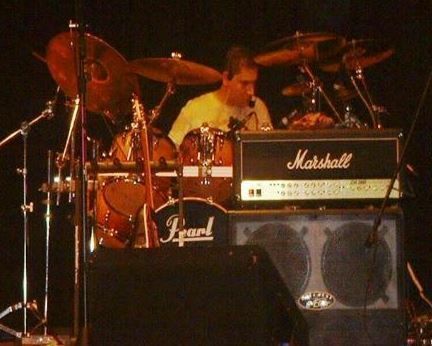 "Swiftkick played at our wedding on October 8, 2005 and we couldn't be happier with their performance. Our dance floor was packed and friends and family continue to tell us how much they loved the band. We especially appreciate Thom's professionalism and dedication. They learned our first dance song for us and did an amazing job! We highly recommend them to anyone looking for a fun, enthusiastic band." "They were wonderful. Played all the great dance songs appropriate for the age group 27-65. Tom was so easy to work with and was so helpful and accomodating. We could not have been more pleased. Our guests danced continually. On one of the hottest and humid nights of the year, the band was HOT!!" This band ROCKED! Not only would I recommend having a band instead of a DJ, in general, but if you are in the NoVA, D.C. area...definitely use Swiftkick. Thom, the lead singer has an amazing voice. He played acoustically for both my ceremony and cocktail hour as well. My guests were so impressed and we danced all night long. Even people who I thought would not dance, were up rocking out. Swiftkick made my wedding. It would have been no where near as fun if not for them. I would definitely recommend using them for any event....from weddings to holiday parties and everything in between.